Then in San Francisco, I moderated a panel with these two crime-writers, during which I discovered that the darkness that they write about, is matched equally by their charming personalities. I have always believed in the statement by Irish statesman and philosopher Edmund Burke - “All that is necessary for the triumph of evil is for good men to do nothing" and I admire journalists who expose the true nature of evil, especially the dangers posed by the political extremes, be they threats to society from the far-right, or the extreme-left. Ali Karim: So, I cannot help but ask this: What do you think of the Stieg Larsson global phenomenon? Anders Roslund : For me he is not global; he is still local to me. This is because my contacts with Stieg Larsson were--and are--very important to me. I was for a long time publishing investigative journalism about extreme right-wing organizations. At one point I was on top of their “death list” and was physically abused, and was referred to as the “Threatened TV Man” in all the newspapers. I had a bodyguard. I was living in hotels without addresses, and as soon as my new number and address were known, I had to move fast to yet another “safe house.” Then the death threats returned. At that time, I contacted Stieg, since he had the same problem with the extreme right, and he had the knowledge and experience I needed to survive the Nazi threats. We shared the same problem, we worked it out together. I miss him immensely. So, it happens again. A town in flames. A nation changes complexion. A democracy looks for a new direction. It started in 1991, August; a quiet Stockholm summer evening. The silence is shattered: a man is shot and wounded. For another six months the whole of Swedish society is wounded; fear becomes a part of all of us. One person dies, and others damaged for life. Slowly a pattern emerges: a Swedish citizen who shot with a rifle and laser sights at victims who all had something in common – darker skin, dark hair, or an immigrant background. I was then the chief reporter for Swedish television on the story, which was the biggest police operation and trial that Sweden had seen since the 1986 assassination of the prime minister, Olof Palme. I reported from the first shots till the last day of the trial. I saw Sweden changed: Nazi flags were raised; there were riots between demonstrators and counter-demonstrators; young people found their way into extremist groups. And out of that time an anti-immigrant party emerged – called New Democracy – which a few months later gained a popular vote and entered Sweden's parliament. As a journalist I continued to cover the growth of rightwing extremism and xenophobia in Sweden. Just like my fellow journalist and author Stieg Larsson, death threats were made against me, and I lived in hiding with armed bodyguards. Then everything changed again. A few years later, democracy and openness had pushed back the fear of foreignness. We could once more be proud of our Sweden. Until now. Until it happened again – but this time the other way round. This time the anti-immigrant party, the Sweden Democrats, were formed first. During the autumn's election campaign they ran on one issue only and in September were voted into the Swedish parliament. Xenophobia became established and – I am certain of this – legitimised what we see happening again, this time in Malmö, Sweden's third largest city, situated a long way south, close to the continent, and with a high proportion of immigrants, who, the police believe, are now being targeted by a racially motivated gunman. The latest attack was on an Iranian-born hairdresser on Saturday. Three Seconds ushers you into the grim, violent world of undercover police and the Polish mafia’s plan to corner the drug market in the prison systems of Sweden, Finland, and Norway. When a clandestine drug operation handled by undercover Swedish agent Piet Hoffmann goes wrong, and a Danish covert operative is murdered, Hoffmann’s handler, Erik Wilson, concocts a scheme that will place his agent in full view of the Polish mafia, to take control of the drug supply at a Swedish penal complex. Sniffing an irregularity in the investigation of the dead Danish agent are Roslund and Hellström’s series cops, Ewert Grens and Sven Sundqvist, who encounter barriers at every turn. Meanwhile, agent Hoffmann infiltrates a maximum-security penitentiary with the idea of assuming dominion there, using the drugs supply as leverage. However, the Polish mafia, in the guise of Wojtek Security, has other ideas.Tense and gripping, with a chilling climax, Three Seconds is not a book to miss if you like your crime fiction edged with the steel blades of reality. Roslund and Hellström pepper their narrative with insider knowledge and perspectives, and their story’s brutal violence pushes this new book firmly into the thriller category. Sometimes the best fiction puts a mirror to reality, even if that reflection is not pleasant. The 2010 Galaxy National book Awards shortlists have been announced and crime fiction authors have been nominated in a number of categories. 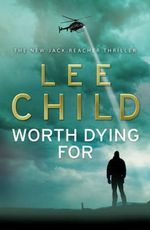 Dead Like You by Peter James (Macmillan) and Worth Dying For by Lee Child (Bantam Press) have been nominated in the Sainsbury’s Popular Fiction Book of the Year category. Rupture (Picador) by Simon Lelic has been nominated in the National Book Token New Writer of the Year. The Girl Who Kicked the Hornet's Nest by Stieg Larsson (Quercus/MacLehose Press) and Room (Picador) by Emma Donoghue has been nominated in the International Author of the Year category. In the Waterstone's UK Author of the Year category, Kate Atkinson’s Started Early, Took My Dog (Doubleday) has been nominated. WH Smith Children's Book of the Year. More information and the complete short list can be found in the Bookseller. 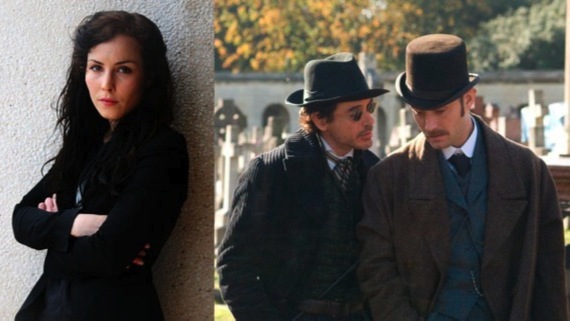 Swedish actress Noomi Rapace signed on in September to play the female lead in Guy Ritchie’s sequel, Sherlock Holmes 2. While her role as a gypsy (who Rapace describes as “a traveler [who is] cool [but] a bit crazy”) in SH2 will be far less emotionally demanding than her role in Dragon Tattoo, Rapace is already doing lots of research to make sure her character looks and feels authentic. Rapace delivered a dramatically intense performance as troubled goth hacker Lisbeth Salander in her native country’s film adaptation of Stieg Larsson’s Millennium Trilogy starting with The Girl With the Dragon Tattoo. Which begs the question as to why Hollywood should do a reboot of the series. 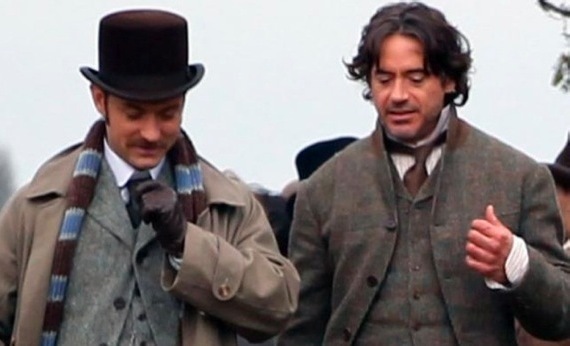 Jude Law and Robert Downey Jr. on the set of SH2. 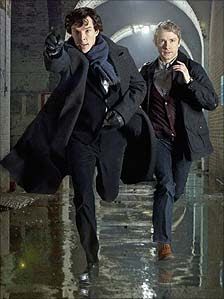 Sherlock Holmes was very much an energetic adventure full of exciting set pieces and humour. Rapace has indicated that the sequel will be very much in a similar vein. Rachel MacAdams, who played as Irene Adler, Sherlock Holmes’s tricky love interest in the first film, will be back. Scriptwriters Kieran and Michele Mulroney were hired to pen the script for Sherlock Holmes 2. The main plot of Sherlock Holmes 2 is still kept secret for now, but according to the rumor, Professor Moriarty, the criminal mastermind in the shadow of the first opus, will be the main villain of the upcoming sequel. The film is due for release December 2011. So who is Britain’s most successful woman author aside from J K Rowling? Martina Cole, if you please! Ian Burrell in the Independent outlines the reasons why she consistently writes and sells novels that everyone wants to read. The Anthony Award winning website Stop you’re Killing Me has created a database rounding up all the mystery awards that have been given over the last 50 years. Perfect for when you are trying to track down information. Debut author Penny Hancock is to be published by Simon and Schuster after a hotly contested auction. According to book2book the first of the two novels Tideline will be published as a tradepaper back as well as a bespoke limited edition hardback in Spring 2012. The saga of Steig Larsson appears to be running and running with no end in sight. According to the New York Times, Larsson’s brother Joakim confirmed in an interview on CBS along with his father Erland that there is indeed a fifth book (not a fourth). However, the Larsson’s have also confirmed that they will not allow the book to be published. Prolific legal thriller author Robert K. Tanenbaum is remaining at Simon & Schuster, signing a new three-book deal for their Galley imprint. The upcoming titles will feature Tanenbaum's best-known characters, district attorney Butch Karp and his wife, Marlene Ciampi. Tanenbaum, a trial lawyer whose background also includes serving as the chief of the homicide bureau for the New York district attorney's office, has written 22 Karp novels as well as two nonfiction works. The deal was for the North American rights. French thriller writer Franck Thilliez is to be published by Viking in the US in a two-book deal. It will be the first time that the popular French author will be translated into English. Both novels will feature Lucie Hennebelle a middle-aged detective and single mother of two. She will be paired with Franck Sharko of the Paris police. The French title of the first novel is Le Syndrome E but it will be given a different title for the US market. The book moves from the French countryside to Egypt and Quebec. Mulholland, Little Brown’s new imprint has added Greg Rucka to it’s already impressive lineup. Rucka best known for his Atticus Kodiak and Queen & Country series as well as his numerous comics will begin a new series for Mulholland. The first book in the series Alpha introduces readers to a former Delta Force operator who realises that his allies are not who they appear to be and are pursuing a dark agenda much different from his own. Viking have bought the world rights in a three-book deal. We blogged here and here about the book trailer contest which had crime as its theme this year. The winning entry above was a trailer designed by Yasmin Al Naib and Christopher Moon for The Snowman by Jo Nesbo. The last of the awards that were given out at Bouchercon were the Anthony Awards, the Crimespree Magazine Awards and 2010 Short Mystery Fiction Society’s Derringer Awards. back to the mystery community. 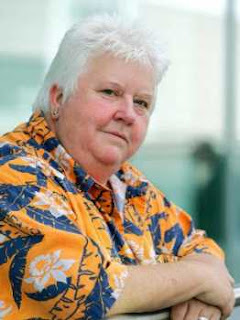 The 2010 Jack Reacher Award was given to Val McDermid. According to the Booktrade, independent publishers No Exit Press have snagged the 2010 American Award winner Victor LaValle. UK and Commonwealth English language rights to 'Big Machine', the second novel by Victor LaValle a 38-year-old New York author, who has already drawn comparisons to Ralph Ellison, Chester Himes and Thomas Pynchon, were bought for an undisclosed sum by No Exit's Publishing Director Ion Mills from agent Abner Stein. 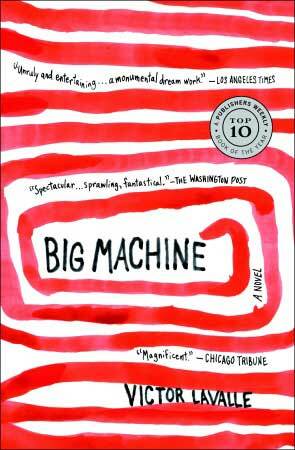 Winner of a coveted Shirley Jackson Award for Best Novel of 2009 as well as an American Book Award in 2010, Big Machine tells the story of Ricky Rice, an ex-junkie and survivor of a suicide cult whose life is changed by the arrival of a mysterious letter summoning him to enlist in a band of paranormal investigators comprised of former addicts and petty criminals, all of whom had at some point in their wasted lives heard what may have been the voice of God. The book wowed US critics from coast-to-coast and led influential political magazine, The Nation, to call it 'Most Valuable Fiction Book of 2009.' The sensational multi-prize-winning novel was named one of the best books of 2009 by Publishers Weekly, Los Angeles Times, the Washington Post and Chicago Tribune. Raised in Queens, LaValle is the hotly tipped author of an acclaimed short story collection, Slapboxing with Jesus, and a novel, The Ecstatic. He has been the recipient of numerous prizes including a Whiting Writer's Award, a United States Artists Ford Fellowship, a Guggenheim Fellowship and the key to Southeast Queens. He is currently Writer-in-Residence at the Dutch Foundation for Literature in Amsterdam. 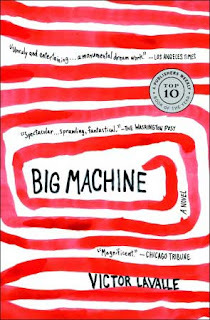 Big Machine will be published by No Exit Press in paperback in March 2011. Dashiell Hammett wrote the detective novel in 1934, which finds heavy-drinking, quick-quipping, private eye Nick Charles giving up his hard-boiled life to settle down into a world of dedicated alcoholism after marrying wealthy socialite Nora. But his old job comes calling when he’s drawn into investigating a murder, with his wife along for the ride. 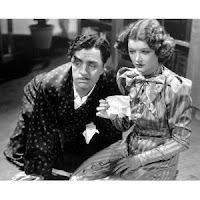 While the novel itself never generated a sequel, it became the source material for a series of movies from Warners, with William Powell as Nick and Myrna Loy as Nora. And NBC turned it into a short-lived TV show in the 1950s. We've got some big news to announce today: After a year's hiatus, Hard Case Crime will be returning to bookstores with new titles in 2011, thanks to a deal we just signed with UK-based Titan Publishing. Titan is a publisher both of fiction and of gorgeous art books focusing on pop culture such as movie poster art, pin-ups, newspaper comic strips, and Golden Age comic books, and has worked with filmmakers such as J.J. Abrams, Joss Whedon, and George Lucas. Titan has been around for 30 years, has more than 200 employees, and in addition to publishing books also has a magazine division, a retail division (Titan owns the famous Forbidden Planet bookstore in London, and until recently co-owned the Murder One mystery bookstore with Maxim Jakubowski), and a merchandise division that produces items such as t-shirts, sculptures, and accessories. We look forward to exploring ways we might develop some cool Hard Case Crime products with them! But first things first: books. Hard Case Crime will relaunch in September/October 2011 with four new books, including CHOKE HOLD by Christa Faust (sequel to her Edgar Award-nominated MONEY SHOT), QUARRY'S EX by Max Allan Collins (the latest in the popular series of hit man novels by the author of "Road to Perdition"), and two never-before-published novels by MWA Grand Masters (names to be announced shortly). Additionally, Titan Publishing plans to acquire all existing stock of Hard Case Crime's backlist from Dorchester Publishing and to resume shipping these titles to booksellers immediately. New books will be published in paperback (possibly some in hardcover as well! ); ebook editions will also be released across multiple platforms. Titan is distributed in the U.S. and Canada by Random House. We're very excited about working with Titan (indeed, we had offers from five publishers and chose Titan over several that were much larger and better-known) -- they love pulp fiction as much as we do and appreciate that in books like ours the visual dimension is just as important as the storytelling. It's hard to imagine a better home for Hard Case Crime. If you not been collecting the Hard Case Crime novels….where you been man? The Macavity Award is nominated and voted upon by members of Mystery Journal International. The awards were given out by Janet Rudolph on Thursday 14 October at Bouchercon the World Mystery convention, held this year in San Francisco. The Macavity Awards are named after the "mystery cat" of T.S. Eliot. The Barry Awards were presented by George Easter on Friday 15 October. The Barry Awards are nominated and voted upon by readers of Deadly Pleasures Magazine. The 2010 Shamus Awards, were presented on Saturday 16 October by the Private Eye Writers of America in recognition of the private eye genre and its writers. Looking for a mystery play to go and see? Why not go and see the new Inspector Morse mystery play, House of Ghosts! House of Ghosts stars former Dr Who Colin Baker as Morse. The play is having a limited run at the Cliffs Pavillion Theatre. Dates and times of the show can be found here. The winners will be announced on November 4 at 6.30pm during a splendid event held at Little, Brown Book Group, 100 Victoria Embankment, London. The winner of the £3000 award prize will take their place amongst an illustrious list of fellow historical authors including Philip Kerr, Laura Wilson, Ariana Franklin, Andrew Taylor and Lindsey Davis. Started in 1999 in memory of Ellis Peters, author of the medieval Brother Cadfael series, this award has been presented to a novel with a crime theme and a historical background of any period up to the 1960s." (As of 2010, it includes any period up to the 1970s.) Today it is sponsored by the Estate of Ellis Peters, Headline Book Publishing Company and Little, Brown Book Group. Massive, colourful and ambitious, this is a double mystery for Sansom’s wily lawyer Mathew Shardlake. The background of Tudor England - with Henry’s ill-advised foreign wars having modern resonances - is a stunning backdrop. An astonishingly accomplished first outing for Giordano Bruno, monk, poet and sleuth, investigating skulduggery in Elizabethan Oxford. Parris has resurrected an undeservedly forgotten figure and her depiction of a society riven by religious intolerance is timely. This is Andrew Taylor at his considerable best; a wonderfully atmospheric - and labyrinthine -- mystery set in a period Cambridge evoked with all the skill that Taylor is famous for. Compromised characters with difficult moral choices are at the centre of To Kill a Tsar. Set in a strongly realised nineteenth-century St Petersburg and dealing with the first significant terrorist cell of the modern era, this is bravura storytelling. This novel shows that your allies can do you as much harm as your enemies as MI6 agent Peter Cotton gets caught up in diplomatic intrigue in Washington. Monroe conjures up a world of murder and double dealing in beautifully lyrical prose. Barry Forshaw - Edits Crime Time and is a talking head for the ITV Crime Thriller author profiles and BBC TV documentaries. 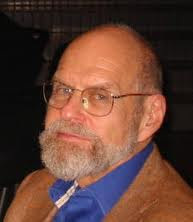 A prolific writer, he has been Vice Chair of the Crime Writers’ Association. 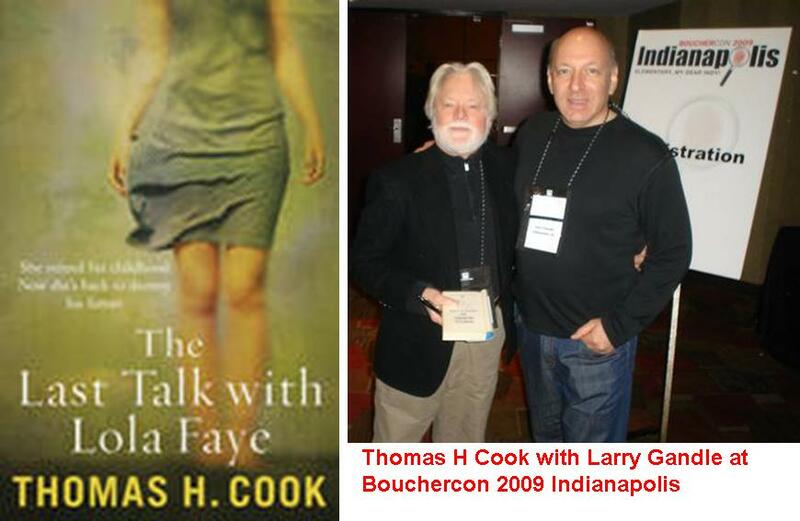 The release of a novel by Thomas H. Cook is always a major event for me. It means I clear a gap at the very top of my reviewing pile for his work, and this month, crime / thriller readers have a treat in-store as Cook releases his latest, and possibly his most disturbing, ‘The Last Talk with Lola Faye’ from Quercus Publishing. This melancholic work hits the bookstores in the UK this week. My copy is packed for my upcoming trip to Bouchercon 2010 San Francisco, to help me cope with the long journey to the US West Coast. Thomas H. Cook returns to his home territory in this Southern Gothic mystery set in Alabama. Luke Paige, historian and writer, is signing his latest work in a bookstore when in the queue he spots a woman he hoped never to see again. Lola Faye was once his father's secret lover, the destroyer of his childhood. For her husband shot Luke's father dead, and his mother died soon after. Lola Faye wants to talk - and talk - over a drink, that becomes dinner, and then another drink. Slowly, painfully, Luke and Lola revisit the terrible events that have shaped their lives. The story they reveal is one of the timeless struggle between fathers and sons; of longed-for passion; of hopes and dreams thwarted by fate and circumstances. 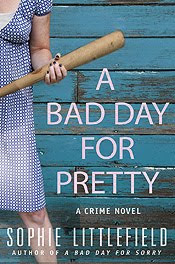 This is Southern Gothic at its most compelling. And you’ve become quite prolific since. So why -- despite your having received awards and critical acclaim -- do you remain a secret to many readers? I truly don’t know the answer to that question, but the experience can be very disheartening, let me tell you. I think many readers just want a fast read. Which is fine. They have that right. But I don’t write fast reads. I think mystery readers in particular are quite demarcated in their reading habits. People who read puzzle mysteries don’t read thrillers, and people who read thrillers don’t read puzzle novels, and so on down thorough several subgenres. 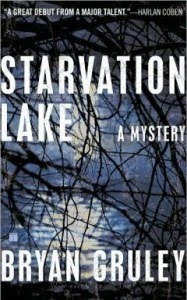 I write a combination mystery-mainstream novel, and that is a big problem, I think, in that mainstream readers very often never give mysteries a chance. I fall through a lot of cracks, and so far, despite wonderful reviews over a period of 20 years, I am still one of the best-known unknown writers out there. Oddly enough, I have absolutely broken through in France and Japan, and seem close to doing it in England. The U.S., however, has not yet fallen under my spell. But I’m still working on it. So if you’ve not experienced Cook’s work, ‘The Last Talk With Lola Faye’ looks like a good place to start; but I must warn you that when you crack the spine of a Thomas H. Cook novel, you’ll find reality crumble as you become lost in the lives of his characters who have to tackle the darker side of the human condition. The Specsavers Thriller Awards took place on Friday 8th October 2010 at the Grosvenor Park Hotel, Park Lane, London. It is the third year that the event has taken place and the second year that it has been sponsored by Specsavers in conjunction with the Crime Writers Association of Great Britain (CWA). The awards ceremony was hosted by Marcus Brigstocke and took place in the ballroom of the Grosvenor Park Hotel in the presence of a number of crime writers and actors including Philip Glenister, Nathaniel Parker, Rupert Penry Jones, Benedict Cumberbatch, Julia McKenzie, Colin Dexter, Amanda Redman and Dennis Waterman to name a few. CWA members that were present included Edwin Thomas (the current Chair of the CWA) Marry Forshaw, Mike Stotter, Michelle Spring, Margaret Murphy, Phillip Gooden, Mark Billingham, Margaret Kinsman and David Headley. The CWA Gold Dagger was awarded to Belinda Bauer and was presented by Amanda Redman. Dagger (sponsored by Ian Fleming Publications Ltd) went to Simon Conway and was presented to him by Alex Norton and Blythe Duff of the Bill. The CWA John Creasey (New Blood) Dagger was awarded to Ryan David Jahn and was presented to him by Ray Mears . The winner of the Film Dagger was Inception and was presented by Nathaniel Parker. The winner of the TV Dagger was Sherlock Holmes and the award was presented to Benedict Cumberbatch by Harriet Walter and Laila Russo. The winner of the International TV Dagger was Wallender and the award was presented by Matt di Angelo and Kelly Adams from the Hustle. The winner of the Best Supporting Actress Dagger was Dervla Kirwan who received her award from Philip Glenister and Mark Warren. The winner of the public's People's detective vote was Christopher Foyle. The award was presented by Hugh Bonniville and Joan Froggett. George Pelecanos and Frederick Forsyth was inducted into the Hall of Fame as well. Pelecanos in his acceptance speech said that he was proud to be a crime writer and one of "us"
The television programme The Bill was presented with a special recognition award. Congratulations to all the winners and the nominees. The ceremony will be transmitted on ITV3 on October 12.